Company INDIA / Cetest Pvt. Ltd. Final location survey including preparation of detailed plan and detailed estimate between New Bongaigaon to Kamakhya in Assam. 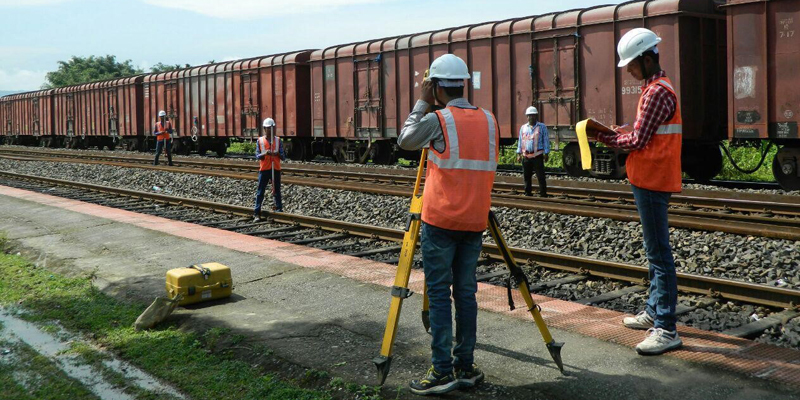 The work included Traversing along one or more routes to undertake modification as required to avoid built up area and other obstructions The main aim of traversing was to obtain the optimum alignment for new BG Railway line and taking details up to 100 meters on either side of the centre line. Details were to be captured at an interval of 20m or at obligatory/important points longitudinally as well as at every 10m or obligatory points up to 100m on either side of entire line (transversely) including taking details of important features such as bridges, roads, rivers, canals, buildings, en-route etc. The work also included preparation of plans and longitudinal sections, hydraulic data as per the existing codes of practice for design of sub-structure and foundation of bridges. The consultancy Fees for the project is 47.54 million Rupees.